My last concert review assignment for Billboard/Mobilebeat -- what a bummer! I have to say THANK YOU again to Billboard & LG for this wonderful experience -- I've enjoyed every minute of it, and hate for it to end! But what an amazing show to get to see and photograph for my last assignment -- Steve Vai at the historic Fillmore in San Francisco. 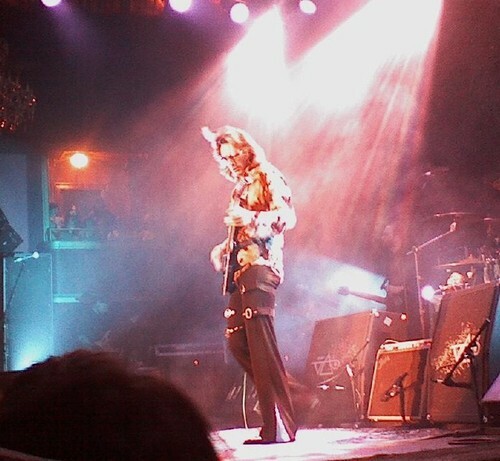 Continue reading "STEVE VAI @ The Fillmore, San Francisco, CA 9.12.07"
Butch Walker has the type of career and respect millions would die for. 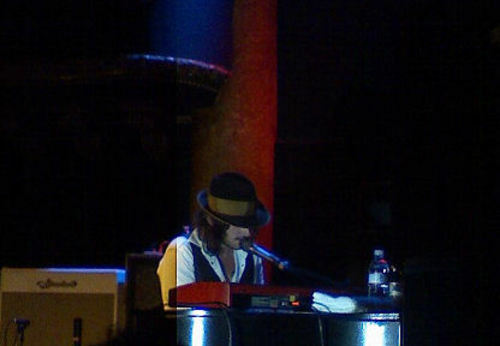 From his role of front man of punk-pop band Marvelous 3, who had a hit in "Freak of the Week," to his great songwriting ability (he has written for the likes of Avril Lavigne, All American Rejects, Bowling For Soup, Pink, Fall Out Boy and many others), his current and long-standing successful solo venture, or his well-known producing abilities, this is a guy working non-stop in the music industry and doing a hell of a job. Though he is technically a solo artist, Butch records and tours with his own band, and they are on the road now in support of their latest album, The Rise and Fall of Butch Walker and The Lets Go Out Tonites. When a date in San Francisco was added, I knew this wasn't a show I wanted to miss - I'd yet to catch Butch live and had heard nothing but high praise from my friends fortunate enough to have already. Continue reading "Butch Walker & The Lets Go Out Tonites; San Francisco, CA; 9.7.07"
Once again I'm amazed at the quality of the pictures I can take with this LG phone!! 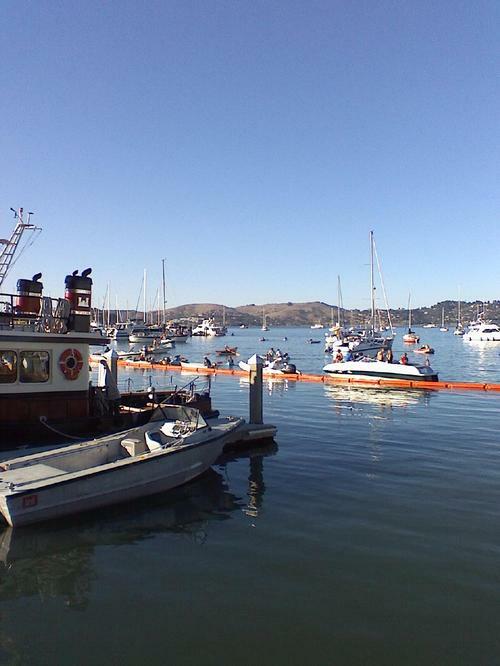 Continue reading "JEFFERSON STARSHIP @ The Sausalito Art Festival, Sausalito, CA 9.1.07"
One of the best things about being a Mobile Beat blogger is having the opportunity to attend shows by artists that I probably wouldn't have gone to see otherwise. 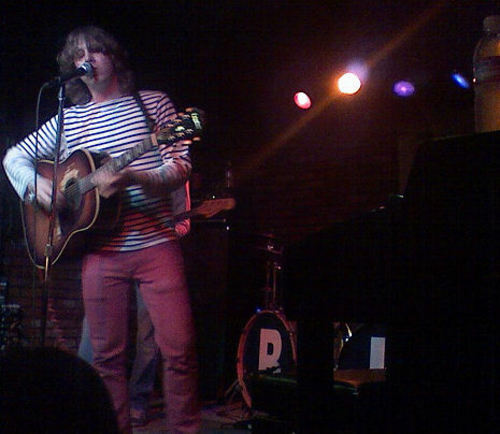 Enter in Ben Kweller. Though I own a couple of his albums, I don't know his music very well. I can't really imagine that I would have jumped at the chance to go see him on my own, but when making my list for shows I'd like to cover for Billboard, I felt I had to put this one down. I've heard great things about Ben and was excited to see what the fuss was about for myself. Continue reading "Ben Kweller; San Francisco, CA; 9.4.07"
But WOW ... who cares if he has a goofy name ... Dweezil Zappa is an awesome guitar player, and I have so much admiration for what he's doing. 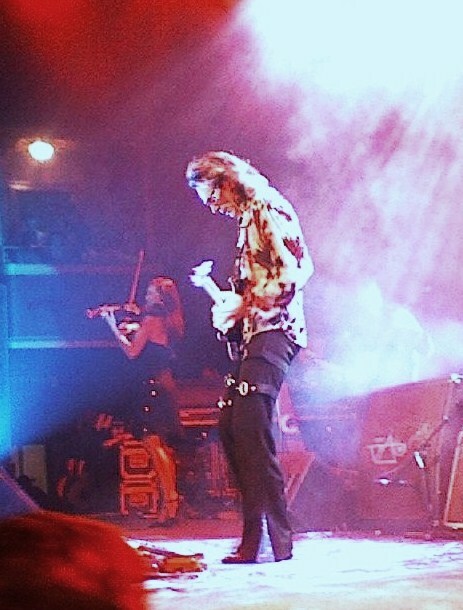 Dweezil was taught to play guitar by a member of his father's band in the early 1980's, "guitar god" Steve Vai. 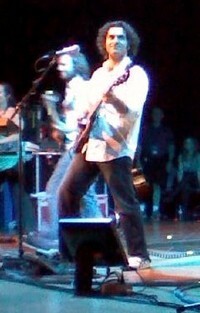 Dweezil is an INCREDIBLY TALENTED musician. He can play the hell out of that guitar! He's had a successful career not involved with his father's music -- he was an MTV DJ, he's appeared in movies ("Pretty in Pink" comes to mind), he's played in bands, and has composed music. Continue reading "ZAPPA PLAYS ZAPPA @ The Berkeley Community Theater, Berkeley, CA 8.20.07"
First of all, a big THANK YOU to my nephew Kevin and his wife, Devon, who gave me two tickets to see Keb' Mo' and Robert Cray at The Mountain Winery for my 50th birthday in April! I'd never seen Keb' Mo', but Gary has a couple of his CDs and I knew I liked his music. Gary often reminds me of one of Keb' Mo's lines ... "You don't have to shave your legs for me ..." I like this guy!! (Gary AND Keb' Mo'!) We were both very excited to see him. Robert Cray ... what can I say? He's awesome, but I've seen him three times in the past year alone! He opened for Buddy Guy at the Mountain Winery last year, he opened for Eric Clapton in San Jose in March, and we saw him at the Crossroads Guitar Festival in Chicago just a couple of weeks ago -- and now he was going to be opening for Keb' Mo'. (Or so we thought.) When I got stuck late at work I thought, "It's OK if we're a little late because Robert Cray is opening and we HAVE seen him three times just in the past year." Then, when Gary and I decided we were both hungry and we really needed to eat something on the way, we stopped at a great little Fish & Chips place for a quick dinner on the way (I called ahead and our food was on the table for us when we arrived!) 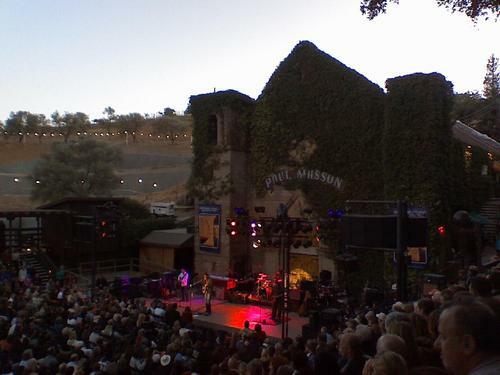 ... so we spent a little extra time doing that, but not a problem, because ... after all, we have seen Robert Cray three times ..
We arrived at the Mountain Winery for the 7:00 PM show at about 8:15, just in time to catch the last few songs of KEB' MO'S set!! AAAUUUGGHHH!! HE was the opening act ... for Robert Cray!! (Don't they usually put the main act's name first, in larger letters with the opening act's name in smaller letters second? Well, the advertisements and tickets and everything else said, "KEB' MO' and The Robert Cray Band.") Well, enough whining about that ... we weren't sorry that we "HAD" to see Robert Cray, just that we'd missed a good hunk of Keb' Mo's show! Continue reading "KEB' MO' & ROBERT CRAY BAND, @ The Mountain Winery, Saratoga, CA 8.16.07"
I was very happy to hear Billboard had been able to get me a ticket to the sold-out concert by up-and-coming local band Tea Leaf Green at another historic music venue, the Sweetwater Saloon, in Mill Valley, California. Continue reading "TEA LEAF GREEN @ The Sweetwater Saloon, Mill Valley, CA 8.13.07"
The Format, The Honorary Title, Limbeck, Steel Train and Reubens Accomplice. The line-up of this tour was a big flashback to 2002 through 2004 for me; almost all of these bands were ones I listened to frequently then. While I haven't kept up with most of them as well lately, I was thrilled when I saw this group would be touring together once more because it's guaranteed to be a good show. There were two disappointments to start out my evening, the first of which was that upon stopping by the box office to get my ticket, there was no photo pass to go along with it. I had been looking forward to being able to get up close and get good shots of everyone, but sadly that was not able to happen. 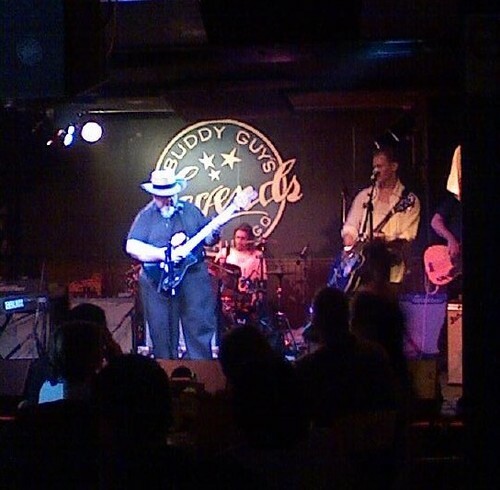 Second disappointment was by the time I got inside (if there is one thing I have mastered, it is getting lost in San Francisco no matter the amount of times I've been there), I had just missed Reubens Accomplice; I have seen them live before and they put on a great show. When I saw Steel Train was setting up to go on next, I tried to get as close as I could since they were who I was most excited to be seeing. The Great American Music Hall was jam-packed, so it was difficult to get that great of a view, but once the band started playing I cast those worries aside and focused intently on the music itself. 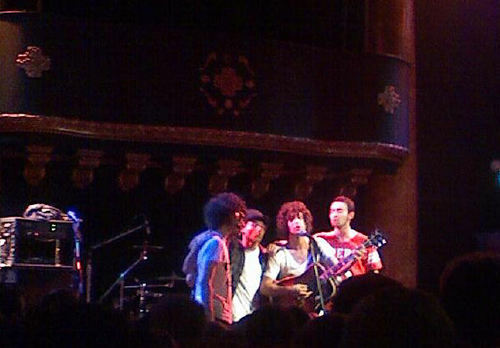 Continue reading "The Format; San Francisco, CA; 8.3.07"